Q: If I'm not an ALPCA member, can I attend a MAPA plate meet? A: Our meets are not open to the public. As a regional chapter of ALPCA, our meets are intended for current ALPCA members and their guests only. 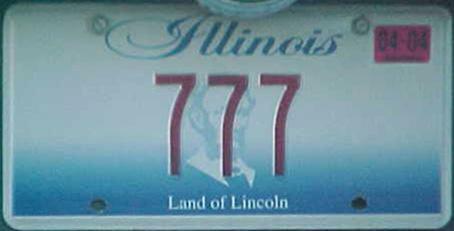 However, we do want to also accommodate license plate collectors who are prospective ALPCA members, so that they can see what we're about. However, please understand that we do not allow non-members to sell or trade plates, or compete for display awards at our meets. If you know an ALPCA member who's coming to one of our meets, you may attend as their guest. Otherwise, contact us in advance of the meet so that we can determine whether you're a viable prospect. Q: How do I join MAPA and how much does it cost? A: Currently our yearly dues are $15 and you can contact our treasurer Al Matulis here. Q: How do I join ALPCA? A: Everything you need to know can be found here. Q: I'm already an ALPCA member, but I don't live in the midwest, can I attend a MAPA plate meet? Q: I'm an ALPCA member, but I'm already a member of another region. May I still participate in MAPA Region activities? A: Absolutely! All current ALPCA members are welcome and encouraged to attend our meets and be involved with our region in any way they choose, regardless of where they live or what other regions they may also be involved with. Q: What time is the auction and what kinds of plates are available? A: The auction is at 11 AM and is different everytime. Our members donate plates at every meet for the auction that helps out our club. Please bring some of your extra plates to donate, we really appreciate it. Q: How can I get that MAPA plate and how much does it cost? A: For this year the cost is $35 including shipping and click here for the form. Q: I have an old license plate. Can you tell me what it's worth? Q: I have an old license plate I want to sell. Do you buy plates? Q: I'm searching for a certain old license plate. Do you have one? A: Sorry, but we can't help you with any of these requests. We're not a business, but rather are a regional chapter of a non-profit association, staffed by part-time volunteers and operating on a shoestring budget. We're not equipped to either buy plates or provide appraisals, and we don't carry an inventory of plates for sale. Q: Will you forward a message to your members about a plate I'm trying to find, buy, sell, restore, or determine the value of? A: No, sorry. We do not want to bombard our members with these sorts of messages. Q: Can you advise where or how I can find, buy, sell, restore, or determine the value of a license plate? A: We can give you some general suggestions, but that's all. If you collect license plates, or would like to start, we strongly encourage you to join ALPCA, which gets you a subscription to Plates magazine, and allows you to attend our regional meets. These provide ready venues for for buying, selling, and trading plates, and networking with other collectors. Also consider joining one or more of the larger online license plate collecting discussion groups, such as the Yahoo! PLATES group. These provide an online method of connecting with other collectors and license plate fans. 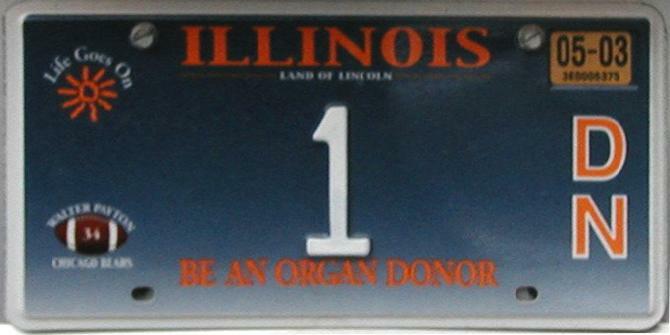 For a list of some people who restore and repaint old license plates, check this out. As far as obtaining an appraisal or determining the value of old plates goes, well, we know lots of license plate collectors, but don't know of anyone who will give you a specific appraisal. Look on eBay. The eBay license plates category usually 10,000 or more license plate listings at any point in time. Use the search feature to zero in on what you're looking for. If you don't find what you're after on eBay, check back regularly, because the inventory turns over quickly. Search the web or check out various license plate collecting links pages for individual web sites that sell old license plates. Visit large antique or classic car shows where they have booths with people selling parts and accessories. A really huge one with lots of old license plates for sale is the AACA Eastern Regional Fall Meet held in Hershey, Pa. each October. 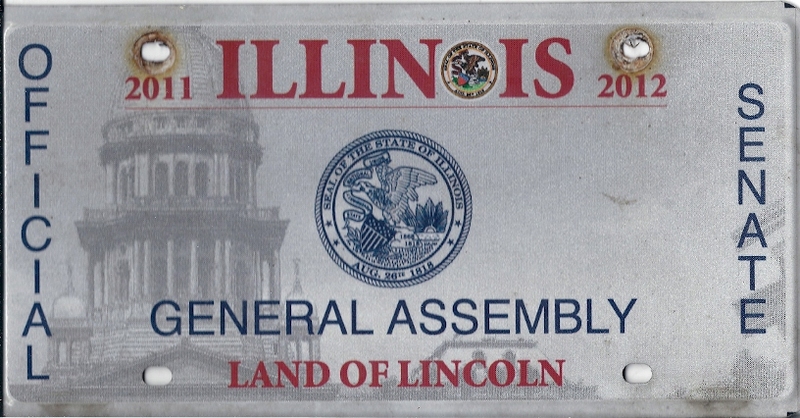 Look for old license plates at flea markets, antique stores, and yard sales, and if you don't see any, ask. There may be a whole box of them that just haven't been put on display. Ask everyone you know if they have any old plates laying around. You'd be surprised at how many people do and will give them to you for free. Even if you don't get plates that you specifically want, you can use these to trade for what you do want. For other questions about ALPCA, and for any questions about license plate collecting in general, please see ALPCA's FAQs page.